Musician, Rowland S. Howard passed away yesterday at the age of 50 from liver cancer. He was awaiting a transplant. In all honesty, Howard is one of those names that exists in the ether of post-punk who’s who, and he was a name that I’d been meaning to add to my music library. 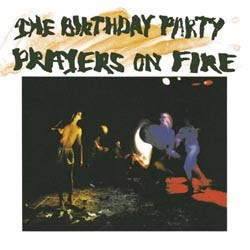 Only days ago, I had The Birthday Party’s Prayers On Fire in my hands, ready to shell out the loot for the sake of owning my favorite Birthday Party track, “Nick The Stripper.” I didn’t get it, though, and now I’m kicking myself.